McDonald’s is a major component of the S&P 500 and Dow Industrials indexes. The company is also a dividend aristocrat, which has been consistently increasing its dividends for 32 consecutive years. 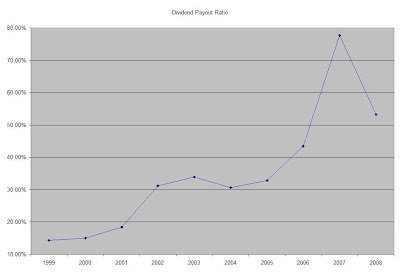 From the end of 1998 up until December 2008 this dividend growth stock has delivered a negative annual average total return of 6.70% to its shareholders.